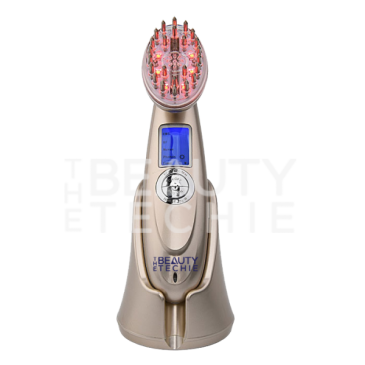 Micro vibration massage and Red Light Photonic Therapy stimulates hair follicles and promotes hair regrowth. Press ON/OFF button to turn on the device. Press ON/OFF button once again and the Electric Muscle Stimulation and Radiofrequency work together at Level 1. Pressing the same button again increases the intensity of the treatment to a total of 3 levels. When it's level 3, press the button and the device turns off. 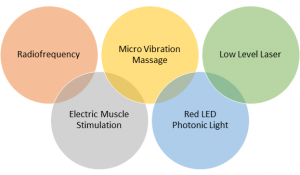 a fourth time to add both Red Light Photonic Therapy and Laser.